Marsha, the Queen of Diamonds, is after the giant diamond that powers the Batcomputer. With her love darts, she puts both Commissioner Gordon and Chief O'Hara under her spell (and into her custody). 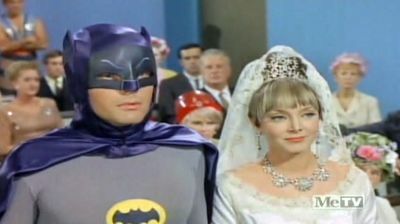 When the Dynamic Duo show up, they too are injected with her love potion, and Batman must agree to marry Marsha if he ever wants his friends to be returned.